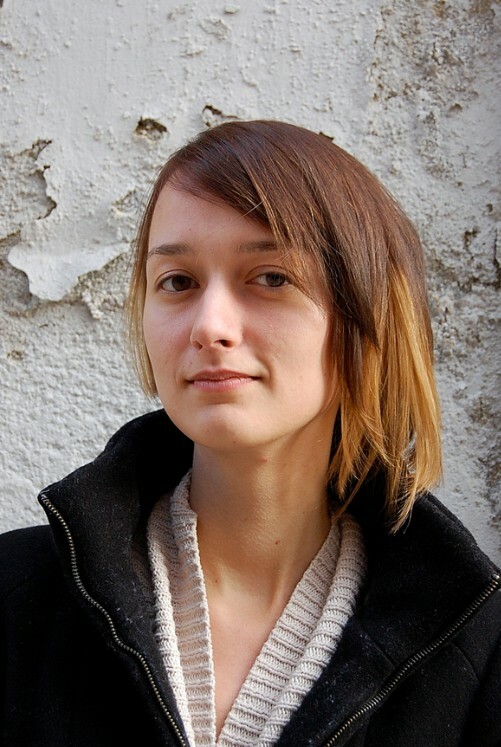 Home » Popular Hairstyles » Trendy Short Haircut for Women: Contrasts – Hip Cut & Cool Colour! 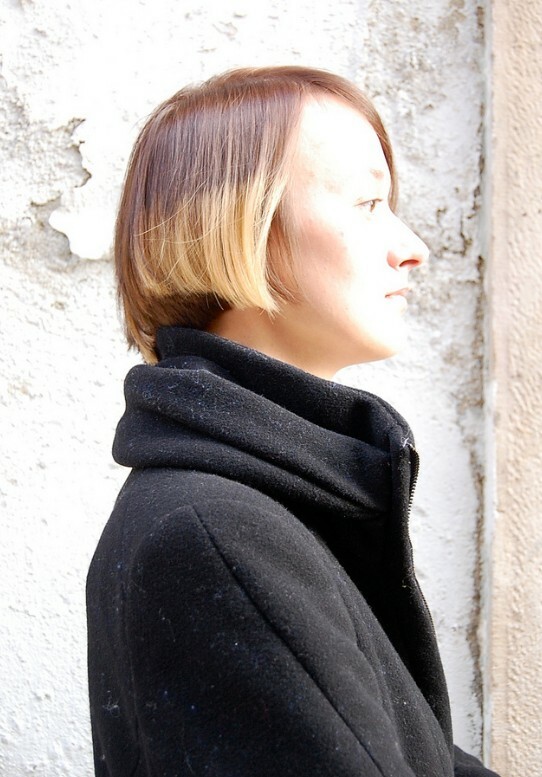 2013 Hair Color Ideas: The straight lines of this unusual style are deceptively simple, because on closer inspection you can see how Kfir has cut overlapping edges and applied colour in a completely new way! The shorter side was coloured golden blonde from the temple to the tips, which were cut to produce a slightly angled upper layer, over the contrasting brown hair underneath! 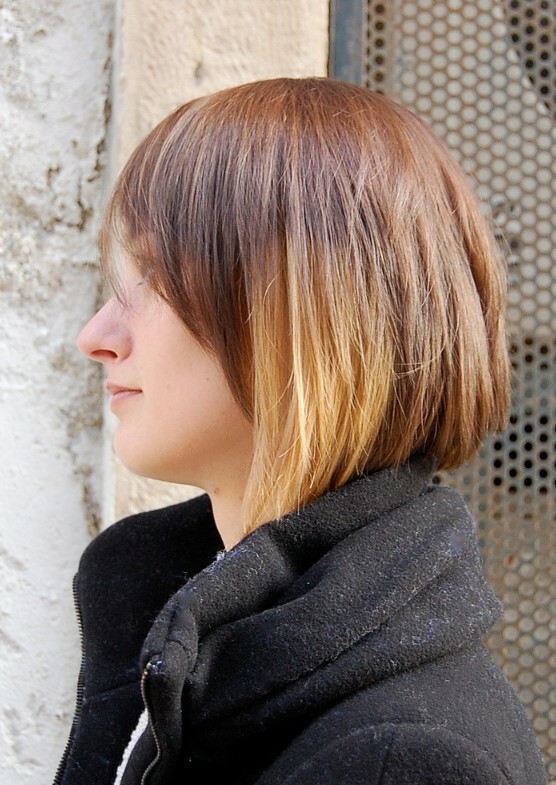 The back follows the highlighted layer up to a textured arch at the center, unevenly coloured. 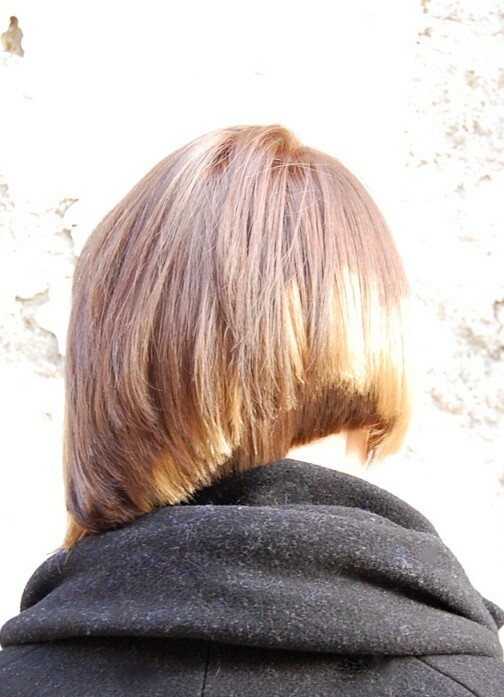 Underneath the blonde line, the hair follows a downward angle, curved into the nape. What is essentially a downward spiral was lengthened to a point below the jawline on the longer side, with textured wispy ends contrasting with the blunt-cut sections. The side-swept fringe was lightly graduated into the layers of the longer side, which were highlighted asymmetrically to give an under-dyed look, with the blonde sections overhung by layers of brown hair! As I said, deceptively simple and definitely not ‘Elementary, my dear Watson!’ to anyone except Kfir, whose creative imagination and talented cutting are truly inspiring! 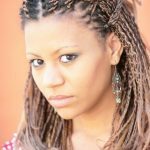 A perfect hairstyle for spring!